Active holiday and sports at Fuerteventura? 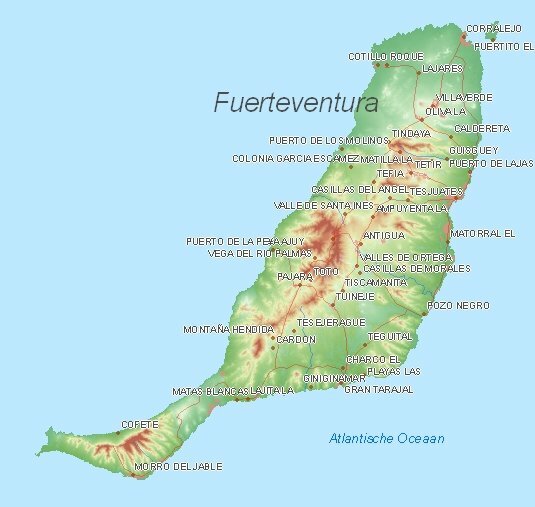 : This is the old capital of Fuerteventura located at the west of this island. 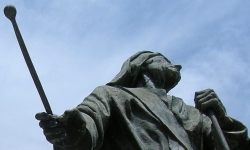 The attractions include the museum arqeologico and the Museo de Arte Sacro. : Small uninhabited island north of Fuerteventura. Ideal as day-trip by boat from Fuerteventura for walking with unique flora and fauna. : Beautiful beaches with magnificent dunes near Corralejo. : In the fishing village of Ajuy these caves are only able to be visited with guide. : This walk on the Jandia peninsula leads to the highest mountain of the island (807 meters high). The mountain gives a very nice view over the whole island. Soon Puerto del Rosario webcam, blogs, travelreports, spanish recipes and movie locations. 1) Current weather in Fuerteventura_Aeropuerto (temperature, precipitation).